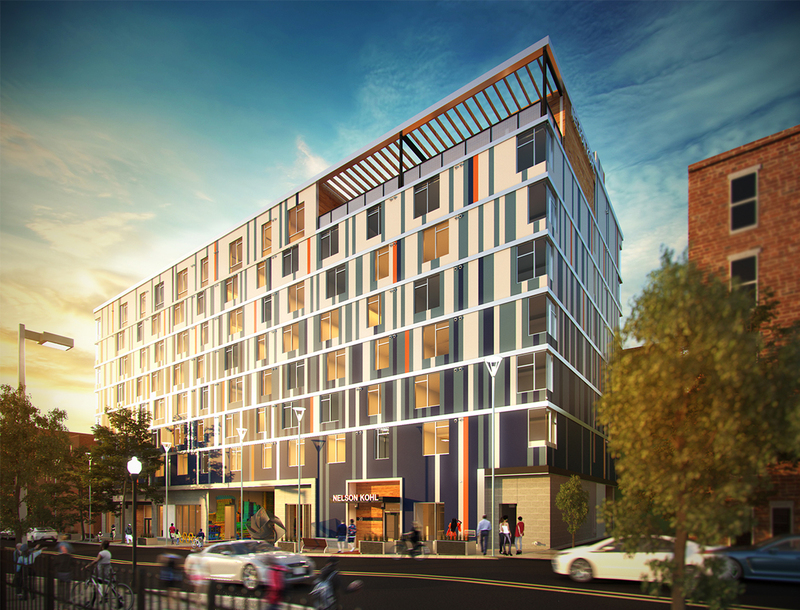 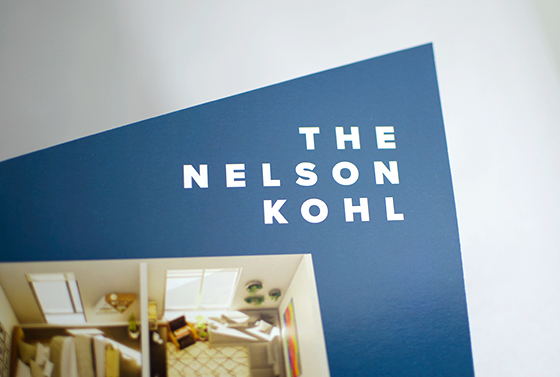 Named after two innovators in urban design and education, The Nelson Kohl Apartments pays homage to its surrounding art community in Station North. 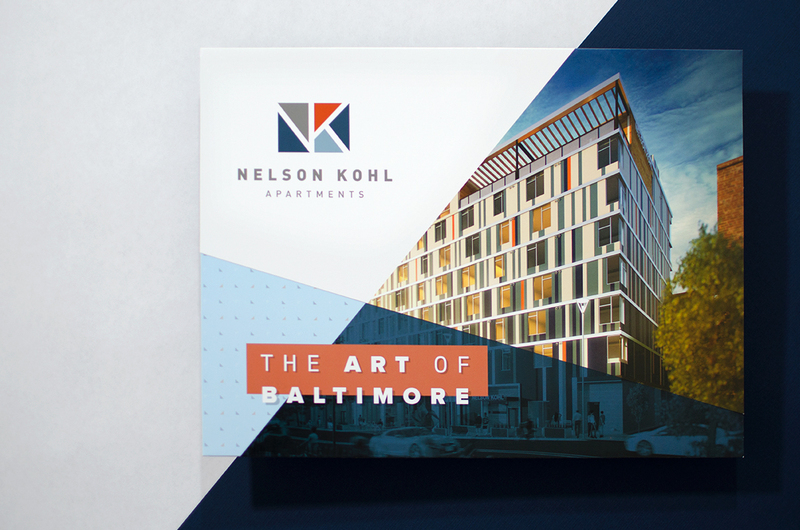 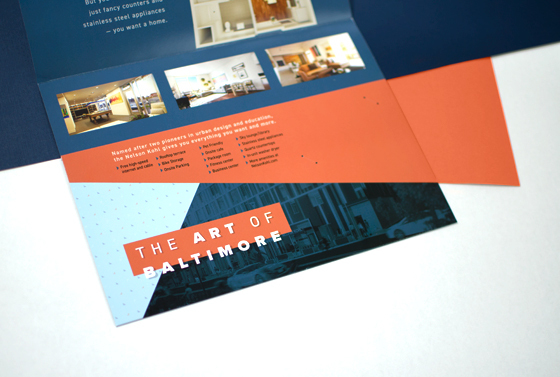 Strengthening their initial branding, YDI has developed a strong visual presence for Nelson Kohl Apartments, encompassing the ‘Art of Baltimore’. 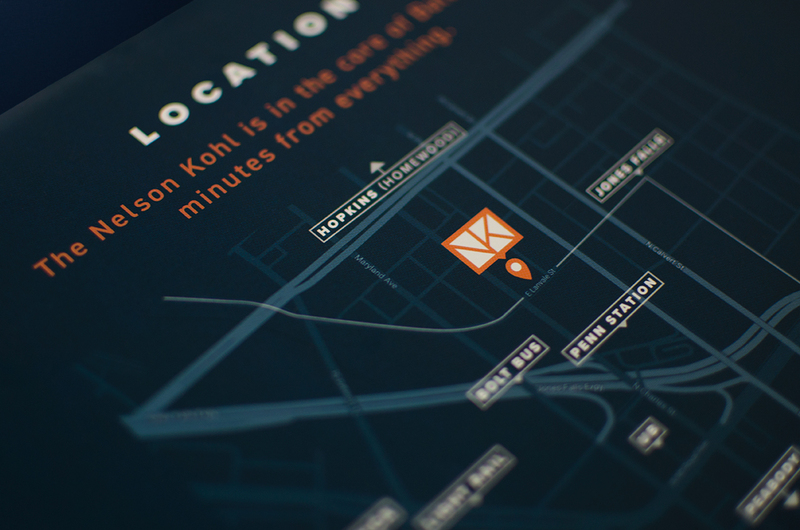 The multi-purpose folder utilizes the brand shapes and angles to create an unconventional and intellectual design.